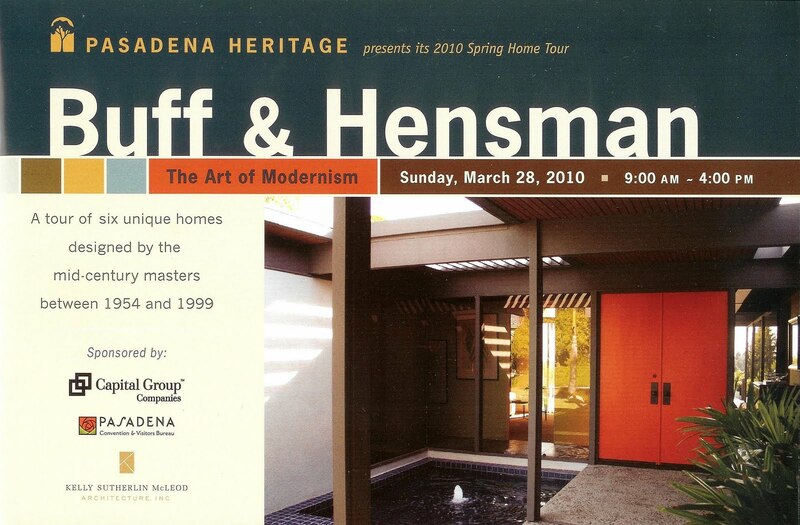 Carol Soucek King graciously hosted members of the Southern California Chapter of the Society of Architectural Historians for a leisurely tour and conversation with the Society's "Modern Patrons" organizer John Berley last Saturday, May 8, 2010, between 10AM-12PM. Husband Richard King, seen below, was unable to attend due to a prior commitment to attend graduation ceremonies at Woodbury University where he has been a long-time trustee. SAH/SCC organized this very successful event as part of their "Modern Patrons" series which was a very special opportunity to visit the Buff & Hensman King Residence "Arroyo del Rey" adjacent to not so dry Arroyo Seco beneath the monumental Highway 134 over-crossing in Pasadena. (See image below). Built in 1979, the King Residence is a superb example of Buff & Hensman’s melding of architecture and landscape in a most unusual setting in the Arroyo. In March 2009, the Pasadena City Council officially designated the Kings' home a Historic Monument. Saturday was a rare chance to experience the house and surrounding gardens, pavilion, and creekside gazebo and also to learn firsthand from Carol how she and husband Richard came about hiring the architects to create a place of serenity and refuge in a spectacular setting. 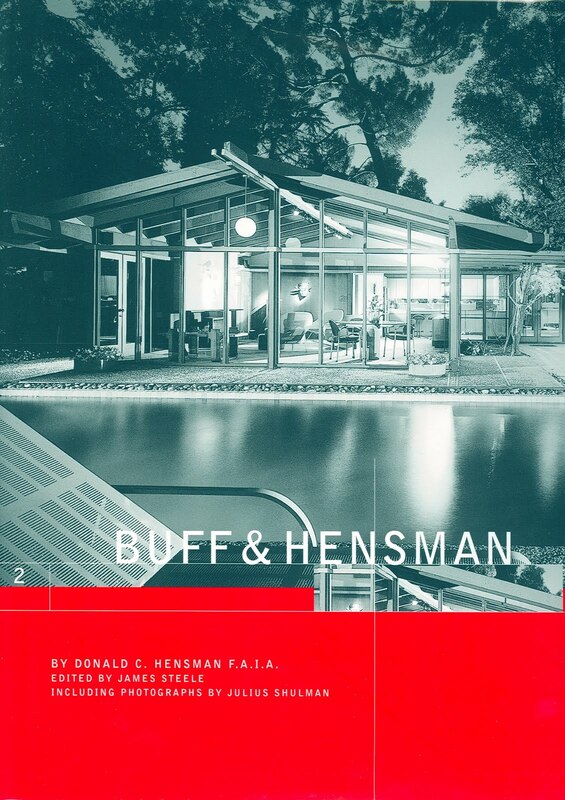 In the monograph Buff & Hensman (USC Guild Press/Balcony Press, 2004), author Don Hensman recalls the King Residence as “a deceptively straightforward floor plan (that) is balanced without being superfluous. Thompson/Moseley Residence, San Marino, 1959, Rick Barnes photo. (from my collection). Neutral stucco walls complement the natural wood trim of the sunken living room. In fact, the home feels more like sculpture than structure. We designed the artscape and landscaping to connect three structures, blending them into the natural surroundings.” (The above monograph contains a nice 6-page spread on the King Residence). Carol informed the intimate group attending Saturday's event that their 1.5-acre compound was executed in three phases during which the undertaking led to a very close friendship with Conrad and Don. 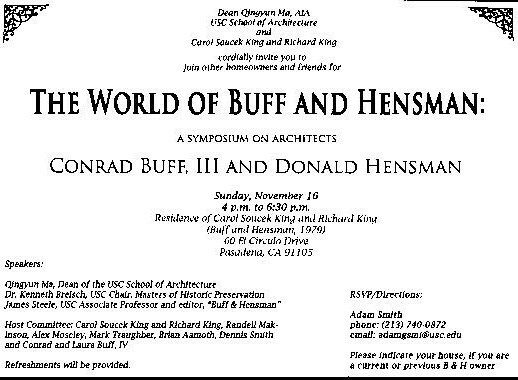 Also major USC patrons, the Kings hosted a memorable symposium "The World of Buff & Hensman" on November 16, 2008 at which the formal announcement of the donation of their fabulous home, "Arroyo del Rey", a prime example of Buff & Hensman's work, to USC School of Architecture for use as an events center and the acceptance by School of Architecture Dean Ma were made. The Kings are also providing a generous endowment for the compound's maintenance. Thus, the home and surroundings will be preserved in perpetuity and in the future will be known as "The Carol Soucek King and Richard King Center for Architecture, Arts and the Humanities/University of Southern California." 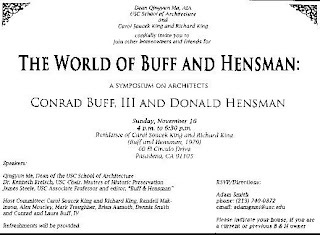 Announcement card for November 16, 2008 Symposium. Photo by Julius Shulman who was in attendance and made an impromptu speech during the event. In the photo above, SCC/SAH members gathering around in the King living room to listen to Carol and John Berley discuss the King's close relationship with Conrad Buff and Don Hensman and the design process from which their home and grounds evolved. John Berley and Carol Soucek King in conversation. Photo by John Crosse. 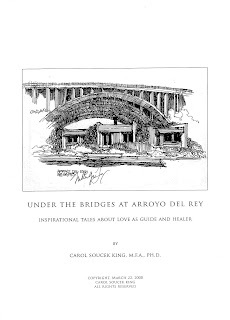 Carol obtained a Bachelor of Arts degree (English Literature) and Doctorate of Philosophy degree (Communications) from the University of Southern California. She also studied at Cambridge University in England. She later earned her Master of Fine Arts degree (Drama) from Yale University. After graduation she worked as Editor of the Lifestyle Section of the Los Angeles Herald-Examiner and Drama Critic for the Santa Monica Evening Outlook. She then became Editor in Chief of Designers West magazine from 1978 to 1993. Since then she has devoted much of her time to writing design-oriented books from the home. Her twelve published books range from her first, Empowered Spaces [PBC International, 1993], to Unique Homes [HarperCollins-Collins Design, 2006]. (See the image below). In her "spare" time Carol also convenes "The Salon on the Spiritually Creative Life." 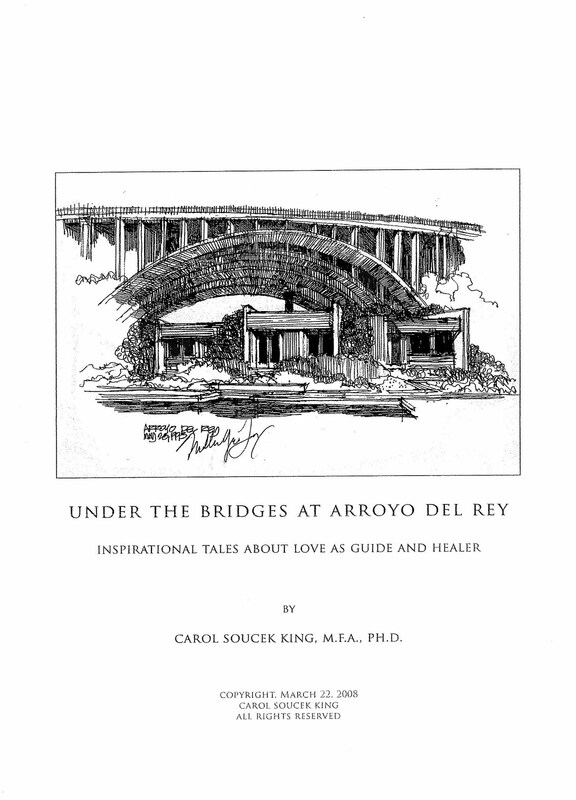 Above is the title page for Carol's soon to be released "Under the Bridges at Arroyo del Rey". Illustration by Miller Fong. Designers West, Vol. 30, No. 12, October, 1983. Modesto Lanzone's San Francisco Restaurant, Interior Design by Teresa Pomodoro, Russell Abraham photo. 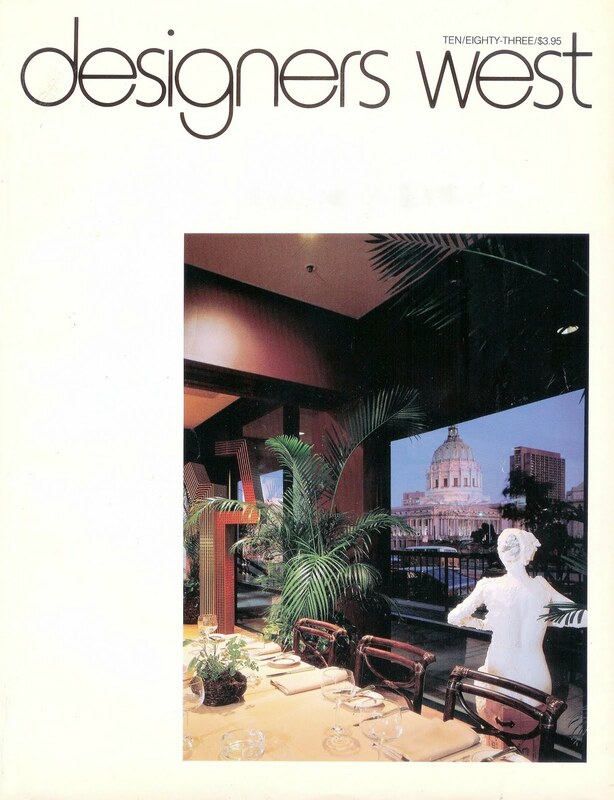 Back issues of Designers West edited by Soucek King are also becoming increasingly rare and quite collectible. 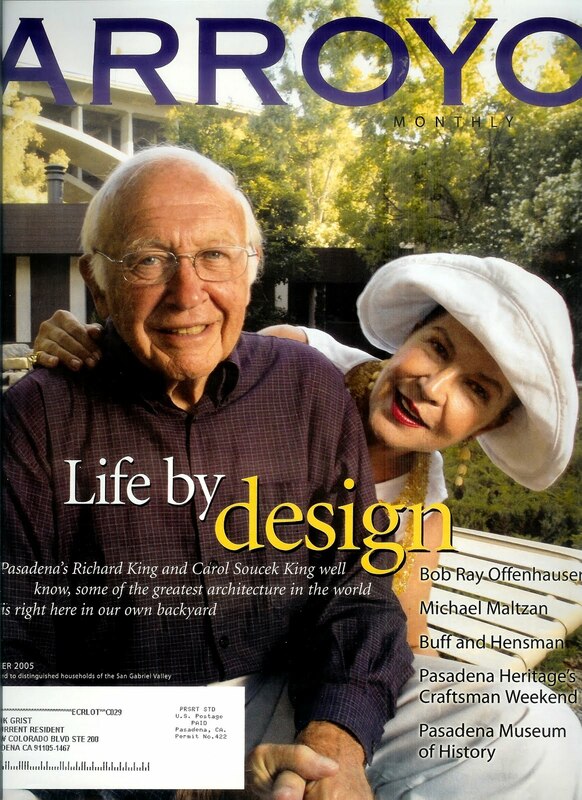 The above issue contains a spread of Beth Kudlicki and my Buff & Hensman home in Playa del Rey, the 1983 Harry Dorsey Residence with Julius Shulman photos. Our home also has a 6-page spread in the above "Buff & Hensman" monograph. For a compendium of the published work of Buff and Hensman which currently contains over 500 articles see my Buff and Hensman: An Annotated and Illustrated Bio-Bibliography. 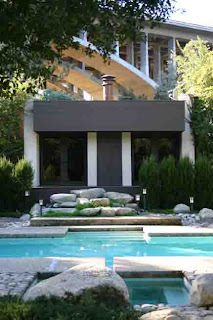 For a related link to John Berley, Project Manager of Frederick Fisher Partners Annenberg Community Beach House project in Santa Monica see http://socalarchhistory.blogspot.com/2010/05/annenberg-community-beach-house-at.html. 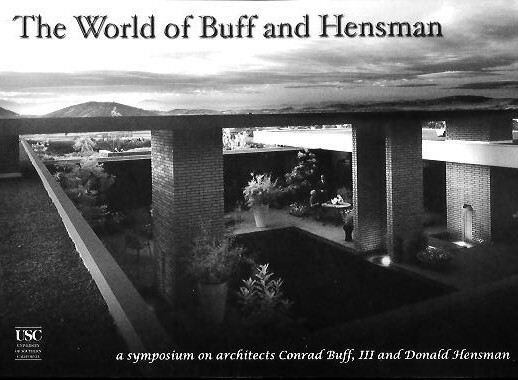 For a related post I did last January on Buff, Straub & Hensman go to http://socalarchhistory.blogspot.com/2010/01/three-amigos-conrad-buff-iii-calvin.html.